There’s something simply sensational about shopping from the comfort of your own home. You don’t have to worry about getting dressed, putting make-up on and driving a way away just to get that retail fix. Knowing that you can open your laptop and quite literally shop away is the best feeling.In the past, I’d been prone to doing most of my online shopping on international websites. This, of course, came with its own disadvantages. The first peeve is custom duties. I totally dislike paying custom duties, but it’s an unavoidable requirement. If you purchase any item/s from outside of the country, it’s law to pay a certain percentage of that to the government. The second – and probably worst annoyance of them all – is shipping; items coming from outside the country usually take muchlonger to get to you. The third is returns; the process of returning unsatisfactory items can take just as long as it did to deliver them. For these reasons, I have developed a liking for local online stores. 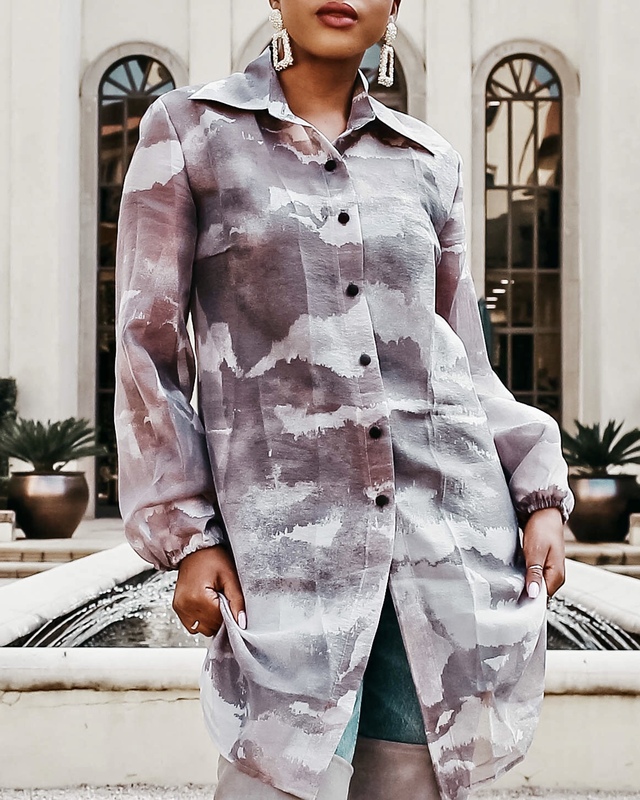 For some people, online shopping (whether local or not) is still quite a daunting and intimidating experience, which is why I thought I would share my latest local online shopping venture, as well as how to dress each garment and care for it accordingly. 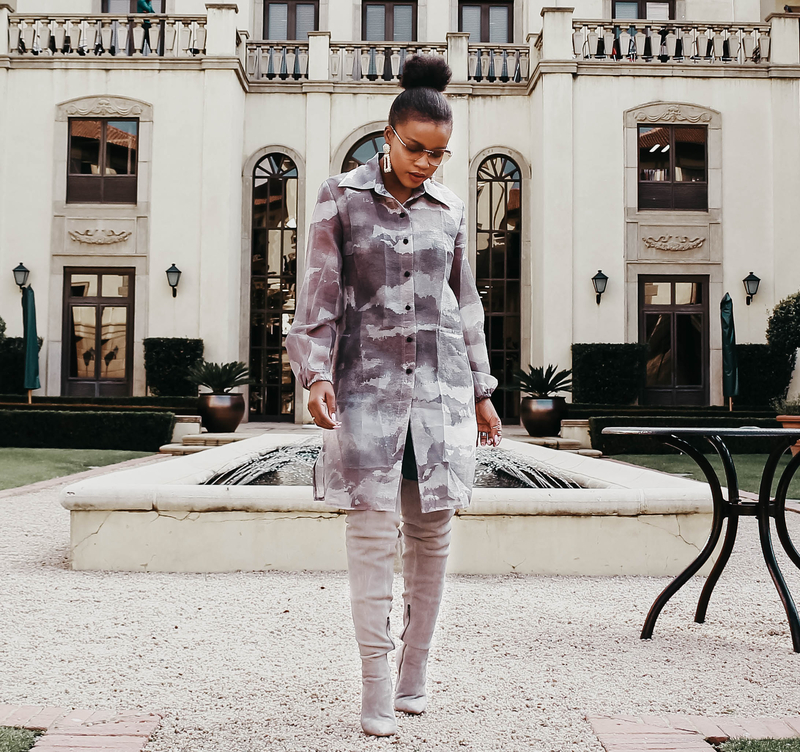 Last week I placed my very first order on Zando, one of South Africa’s biggest online fashion stores. Zando offers a wide range of exceptional clothing, beauty products, footwear, homeware andjewellery. They cater to men and women, along with a wide selection of local, international and in-house brands to choose from. They also have rewards systems in place, so receiving something like R200 off your first purchase is as easy as can be. Right now, Zando is actually working in partnership with SKIP and running a promotion where you can get a voucher for a free bottle of one of SKIP’s New Variants when you spend R250 or more. New clothes and the right stuff to care for them? A total win, if you ask me. I was shopping specifically for tops / shirts, so I went on the site and narrowed my search. I found that the Zando site was incredibly user-friendly, which made my online shopping all that much better. 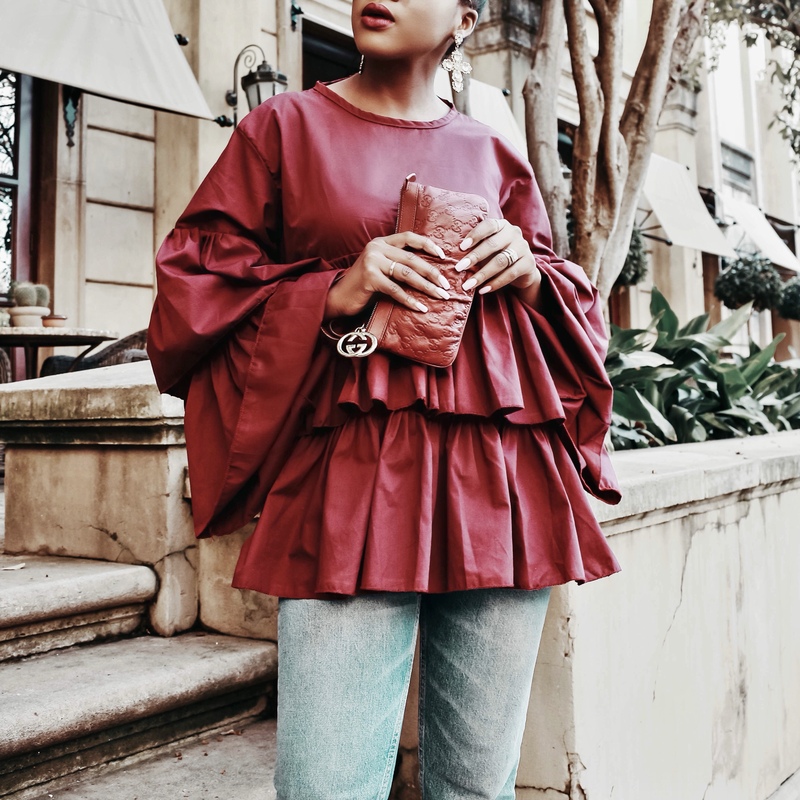 I faced no difficulties and ended up purchasing 4 gorgeous, quality tops for under R2,500. I placed my order on Tuesday last week and by Friday, I had received an email to notify me that my order had been shipped. By Monday, my order was at my doorstep. Shipping was free of charge and it took less than a week to arrive. 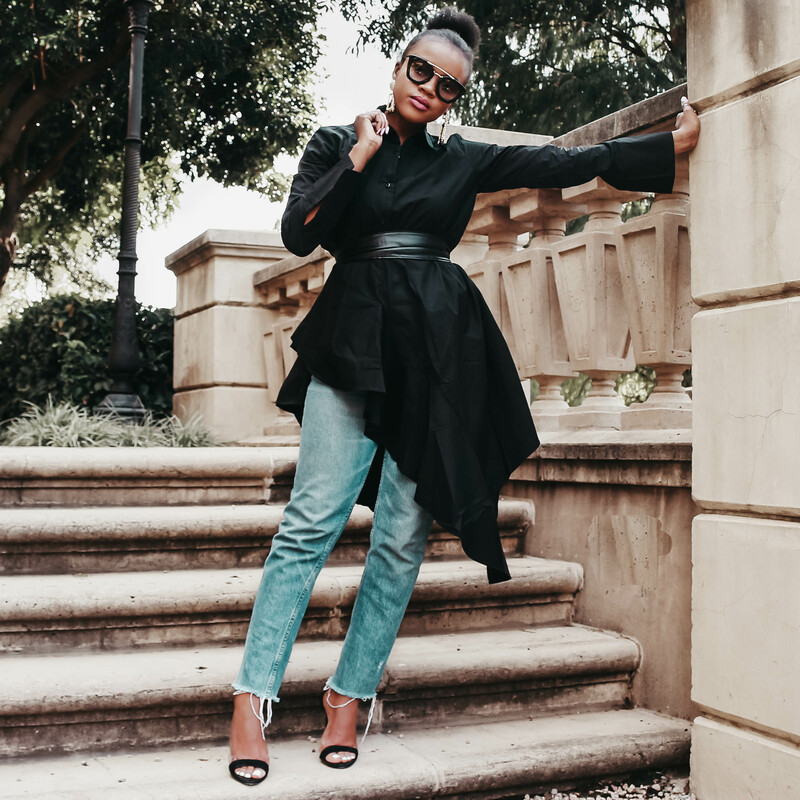 I decided to style the next 4 looks with the same pair of jeans not only to draw focus to the tops themselves, but to also demonstrate the ease in which these tops are to style. 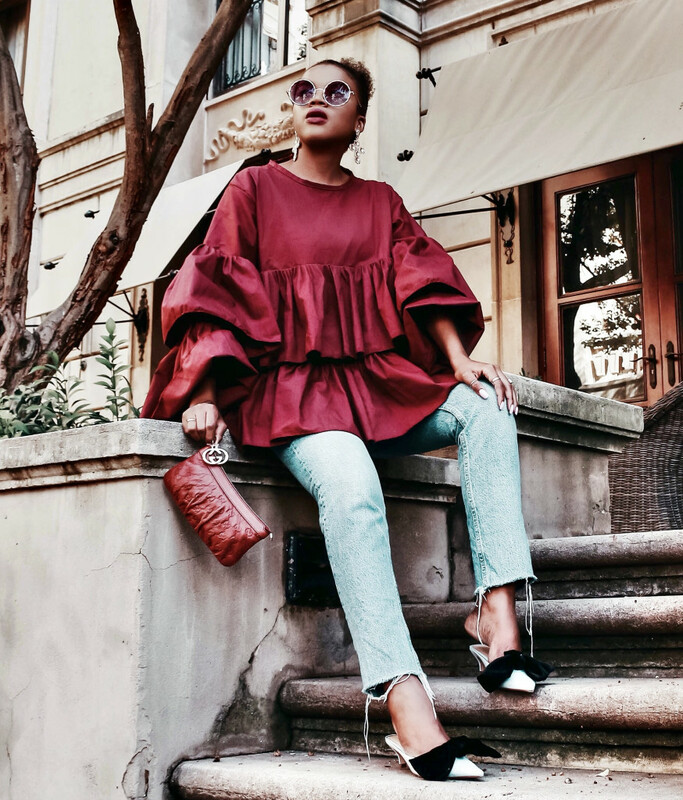 Each outfit is paired with blue Levi jeans, with Levi being a brand that’s also available on Zando. My purchase included this deep plum Shop.Style.Snap top, which goes for R599. Right now, the oversized look is one that I love, so I opted for a large instead of a small. I was drawn to this top mainly by its colour, and plum is a personal winter fav. I also love the shape and design; the sleeves are to die for. My plum lippie and micro bag complete this look and give it a chic flare. The second top is an asymmetrical shirt from Utopia, which is a Zando in-house brand. 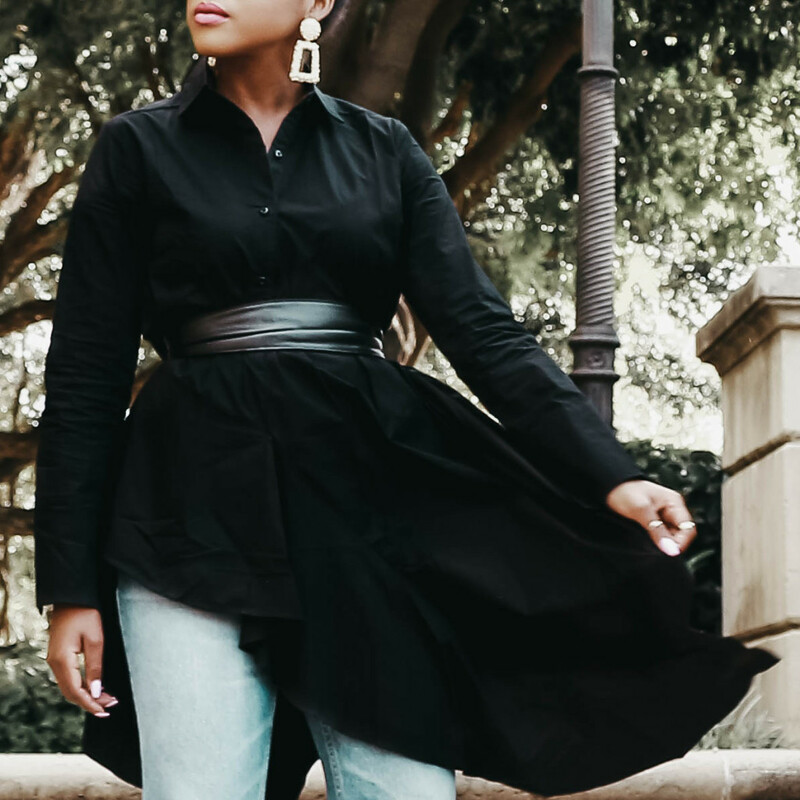 This top goes for R379, coming with a detachable waist belt. It’s the first shirt I committed to buying while choosing my items. Not only is it in myfavouritecolour,but the fit is incredible. I bought a smaller size because I wanted a figure-hugging fit – especially around the waist area. I paired it with a strappy heel for a perfect date night, or even a mid-morning meeting out of the office. 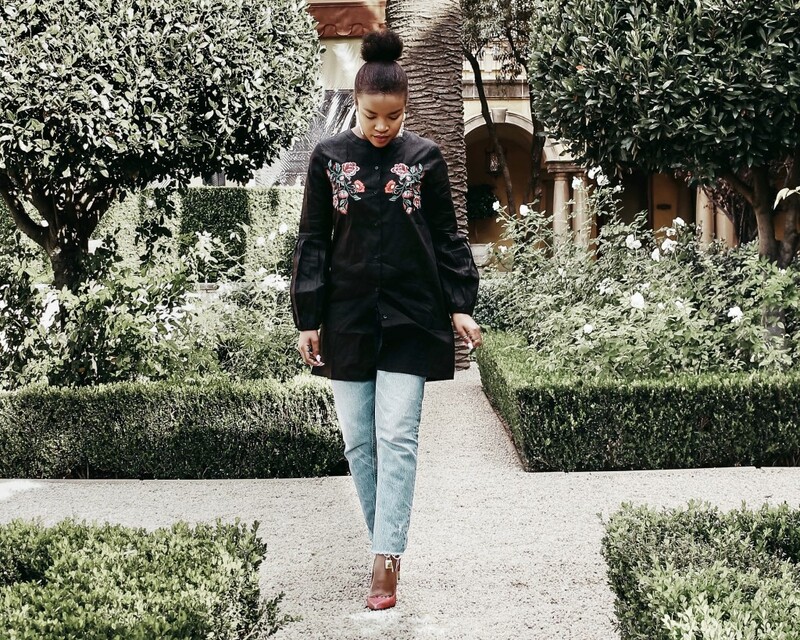 My third item is a black, embroidered balloon-sleeve dress-shirt. 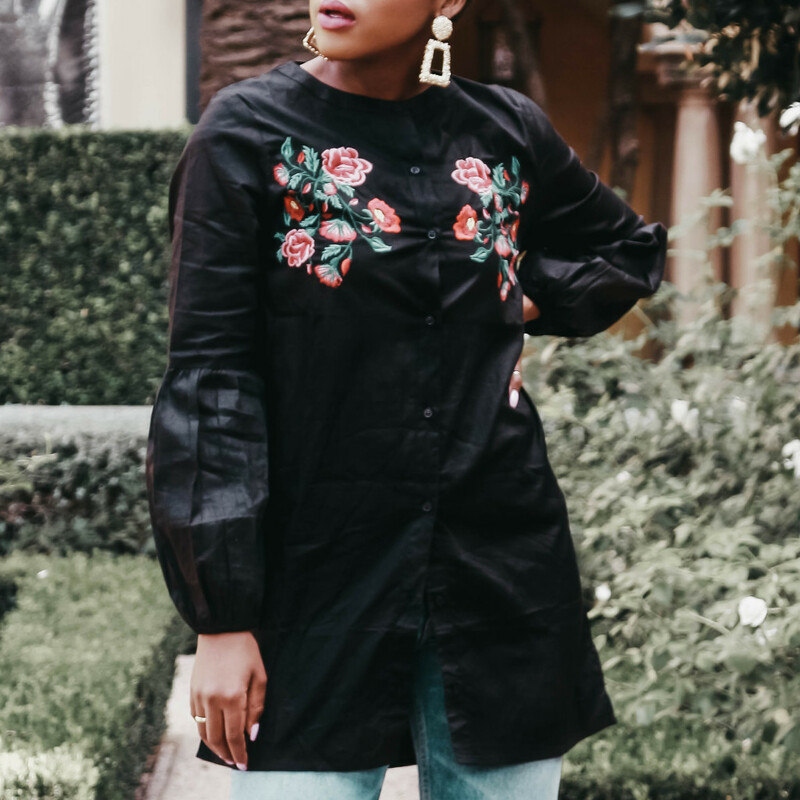 In a size 8 from London Hub Fashion, this piece is currently going for R649. This dress-shirt comes in both black and white, and man did I have a tough time picking between the two! I ended up going with black (surprise, surprise) because the colour remains king in my closet. It’s slimming, so you can’t really blame me, haha. As a lover of darker colours, it’s important that my dark clothes remain in tip-top shape and don’t begin to fade or wear out. This is why SKIP Perfect Darks is an important asset to the care for my clothes – more especially my new pieces. It’s even more of a win to know that, should I have decided to go with the dress-shirt in white, I still would have had the proper care for it. SKIP’s Perfect Whites has been specifically formulated to keep white clothes looking crisp and brand new, meaning you can leave behind your worry about white garments turning yellow.I paired this lovely shirt with plum pumps and statement earrings. The beauty about this top is that it can be worn either as a dress or a shirt. The fourth and final purchase is by Hashtag Selfie; a stone brown dress-shirt that’s goes for R750. This purchase is, by far, my absolute favourite. The material is unique and absolutely stunning. It’s quite soft and sheer, and so would most probably require an undergarment – I went for a black camisole underneath. The sheer material nudges to the fact that the piece is a delicate one, and once again SKIP has me covered on that front. I don’t have to worry about this sheer item getting destroyed because SKIP’s Perfect Delicates is soft enough for me to use even in hand wash. I thought the outfit would look great with thigh high boots and a high bun. I wanted to attempt the website’s model lookby wearing it as a dress and donning long, wavy hair, but the weather in Jozi has been far too chilly for my liking, lol. This is a great daytime look; the colours allow for it. It can easily be turned into a night look, bar the jeans. In conclusion, my Zando experience was superb. The fits are all true-to-size, and the images displayed are an honest representation of the garments. The retail prices are fair, the website is easy to maneuver, there are no extra costs and my package made to me in less than a week. To top that off, I have SKIP products at hand to take proper care of all of my garments, leaving them in the same quality shape as they are when they’re first bought. Would I recommend both brands? Absolutely! Based on the experiences I’ve had, Zando and SKIP are both MelMo-Approved! !